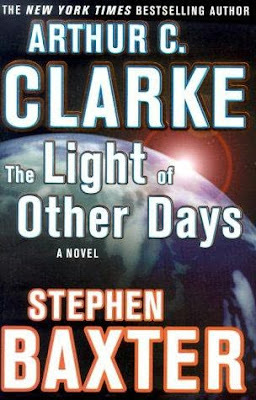 This is the paperback edition of 'The Light Of Other Days', released an unusual ten years after the hardback original. Penned by the late and current chairmen of the British Science Fiction Association, Arthur C. Clarke and Stephen Baxter, it is sub-titled 'A Novel Of The Transformation Of Humanity'. As the book progresses, it becomes evident that the transformation is of that indefinable characteristic known as humanity as much of humanity itself.